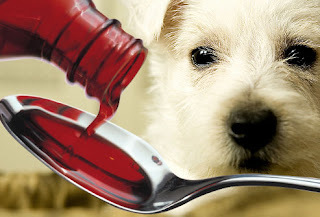 Dog Site: What are antibiotics, and what is their use to dog owners? What are antibiotics, and what is their use to dog owners? Antibiotics are chemical compounds of microbiological origin used to combat diseases caused by bacteria—they are not effective in virus infections. Antibiotics have saved many thousands of lives, human and animals. One of the best known antibiotics is, of course, penicillin, discovered by Sir Alexander Fleming. There can be very few people these days who have not at some time or the other come in contact with penicillin or heard about it and its remarkable power to overcome bacterial infection. It is used extensively in veterinary practice. In recent decades, many more antibiotics have been developed, such as streptomycin and aureomycin, which cover a completely different range of bacterial infections and are equally effective. Which antibiotic is to be used must be left to the person treating the patient. In many cases the most effective one can only be discovered by trial and error, so don’t be too hard on your vet if the first treatment isn’t always the successful one. These drugs cannot be purchased without a prescription. One reason for that is that a patient can have severe reactions to certain antibiotics. Another is that overuse kills bacteria that work for the body and thus renders the drug increasingly ineffective. It is amazing how quickly these antibiotics can knock out a bacterial infection, and how beautifully wounds heal when one or another is applied directly to the wound. They are not only applied directly to wounds but doses are taken by mouth as well so that the bloodstream is supplied with them.